Today, the environment around us is overloaded with excess positively charged ions (cations), produced by the many electronic devices that surround us. Ionizzed is a smart fabric whose surface is imbued with millions of microcapsules loaded with negative ions (anions), which are produced naturally and help counteract excess positive particles, creating a more balanced environment while we sleep. Ionizzed® was developed by the European Sleep Care Institute (ESCI), a team of professionals with over 10 years’ experience in manufacturing and developing new products for the rest sector. The atom is the basic unit of matter, and consists of a nucleus surrounded by electrons and protons. An ion is an atom in which the total number of electrons is unequal to the total number of protons. When ions have fewer electrons than protons, they are called cations and have a positive electrical charge. The electronic devices that surround us are a major source of cations, and an excess in the environment can be harmful to our body. In contrast, when ions have more electrons than protons, they have a negative charge and are called anions. These anions are naturally produced. 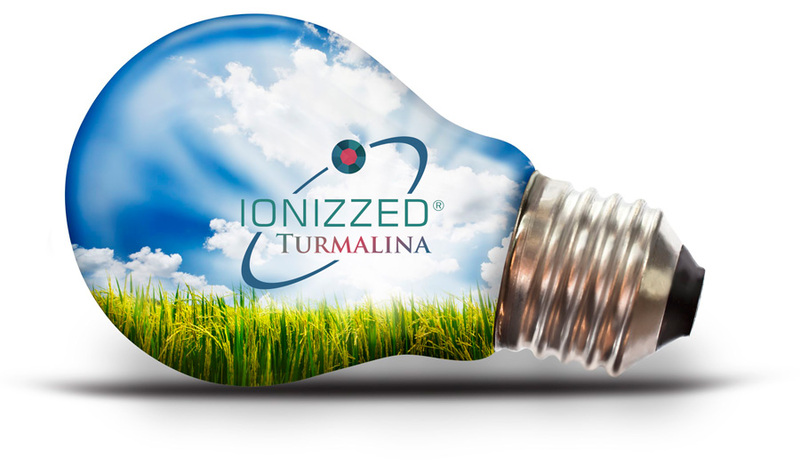 With Ionizzed® technology, when our body rubs against the smart fabric its microcapsules release the anions they contain, imbuing the atmosphere and helping to neutralize excess cations. How do ions influence people? Our body tolerates hunger more easily than lack of sleep, and an increasing number of diseases are being discovered to be related to inadequate sleep. This is because we spend a third of our time sleeping, so adequate rest is essential for improving quality of life. Aware of this need, a qualified group of researchers from the European Sleep Care Institute (ESCI) decided to commit to innovation and development applied to the rest sector. Thus, after several years of work to create more optimal environments, Ionizzed was born. It is a technology applied to the manufacture of mattresses, pillows and bed clothes and permits the environmental generation of anions in rest environments. The Ionizzed technology development process was a completely new task, which included a very intense phase of inventive activity, to later transform it into an industrial application. The basic lines of research were completely innovative and were led by group of researchers from the Polytechnic University of Valencia, leaders in microencapsulation and textile application. Study of microcapsules and how they apply to rest products. Study of active ingredients with anionic compounds to be microencapsulated. Choice of the suitable microencapsulation process for the anions. Process of fixing the microcapsules onto fabrics. Friction stimulation development to release the anions. Testing the friction processes and anion release quantity. Certification of the correct process of releasing the anions by rubbing.